Need to get in touch with Primus? We're here to help! In the coming days some of our services will be provided under a new name. The business you knew as Primus will now be presented as part of the Birch family. Primus has been part of the Birch family since April 2016. We still offer the same quality service on which you have come to rely; moreover, to improve our quality of service to you we have recently integrated our billing systems making it easier for you to get the support you need. Having trouble finding what you need or have questions about your service? Contact us today! 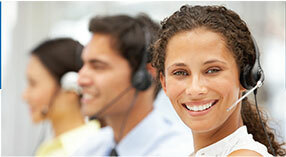 Contact Customer Support for questions regarding your business account. We're here to help! For customers with 7 or fewer digit Primus account numbers, your Primus bill will become a Birch bill as of October 31, 2017.